Amitabh Kant, secretary, department of industrial policy & promotion (DIPP) emphasised the need for a single retail policy to weed out what retailers termed an 'inordinate attention to a single channel of distribution, notably, eCommerce." Amitabh Kant, secretary, department of industrial policy & promotion (DIPP), addressing the concerns of 30 top retailers, including Future, Walmart, Trent and Godrej Nature's Basket, emphasised in a meeting the need for a single retail policy to weed out what retailers termed an 'inordinate attention to a single channel of distribution, notably, e-commerce." There should be no discrimination between single brand, multi-brand or e-commerce companies; instead, there should be a single retail policy. These are legacy issues from the past, which we understand and recognise. All of you should also push for it," Kant said while addressing the chief executives (CEOs) over a video link from his New Delhi office. The retailers, led by Krish Iyer, president and CEO of Walmart India, pointed to the lack of industry status to retail, hurdles at the state level in terms of availability of land, financing from banks, notably for small and regional players, and lack of availability of electricity and other state utility services at reasonable rates. Kant said these issues would be taken up at an inter-ministerial meeting involving states. "Please put top six issues down and send it to me, so that we can find a solution," said Kant. Biyani indicated how the Maharashtra government had become the first state to accept a draft retail policy that addressed all concerns of retail players. The retailers under the aegis of the Retailers Association of India, an apex body, are expected to prepare a similar white paper for DIPP listing out the sector's pain points. Even as Kant appeared willing to support the retail sector, saying it was critical to India's growth story and a big creator of jobs at the local level, he distanced himself from the online versus offline debate. "In a country, where there are 950 million mobile phones, there is no way the intervention of technology can be halted or e-commerce companies stopped. 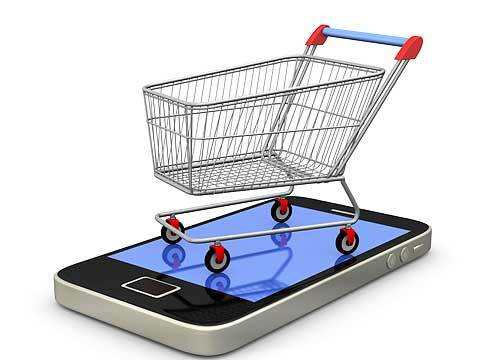 Instead, if brick-and-mortar retailers adopt technology, specifically mobile telephony, this will aid them in making the shift and catch consumers where they are," he said. E-commerce has emerged a powerful distribution platform in India and one that threatens to disrupt offline businesses. A recent joint-study by Assocham and Deloitte says e-commerce will be worth $16 billion by the end of 2015 from $13.6 billion last year and 4.4 billion five years ago. While offline retailers are putting omni-channel strategies in place to address the threat posed by online retail, many say little is being done by the government to govern e-commerce firms.